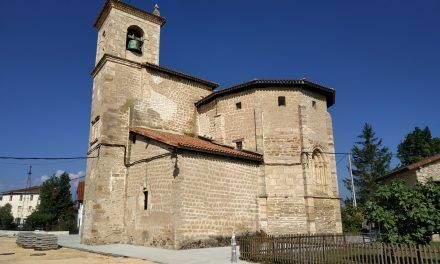 Located at the boundaries of the new neighbourhood of Salburua in the city of Vitoria-Gasteiz, although still an independent town, Arkaia serves as a link between the capital and the surrounding rural world. 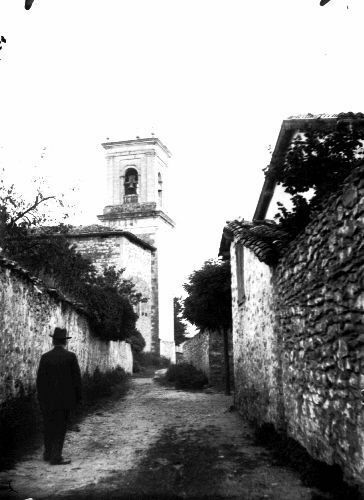 Despite its small size, it is an enclave full of historical remains that shed light on its age. 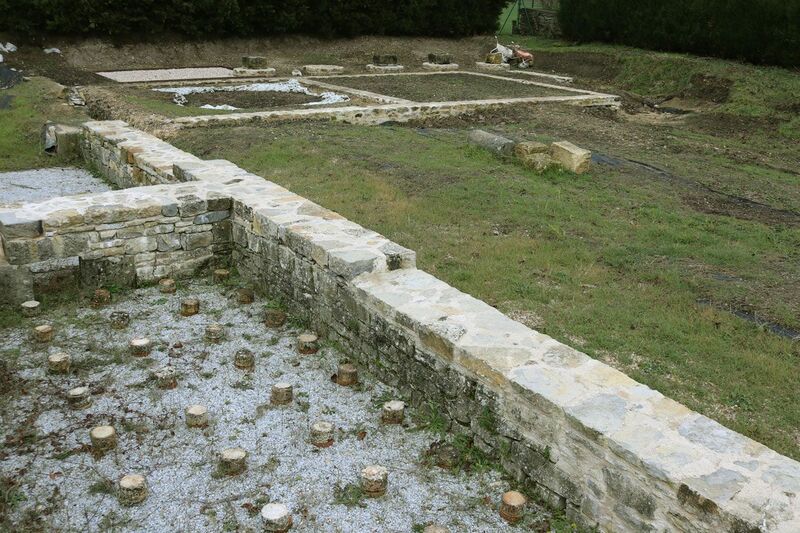 Its excavated site is worth mentioning, which, although it is modest, reveals the existence of some thermal baths that worked during the Roman era in Álava. 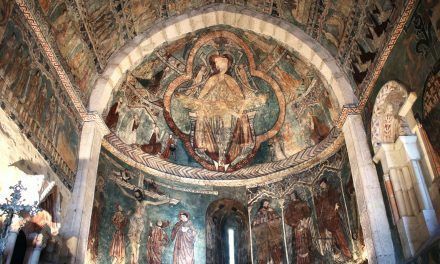 Some Romanesque remains still survive in its church, most of them hidden, which tell us about the continuity of the settlement on this area. 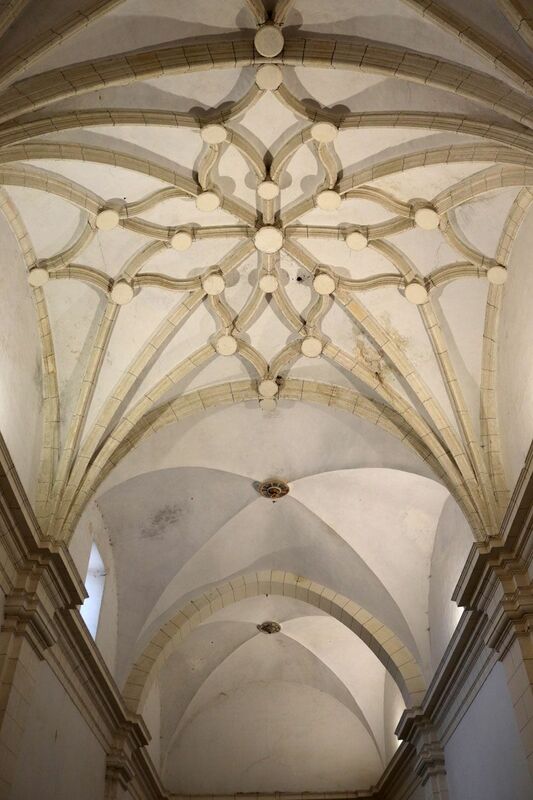 However, that medieval past is masked by the renovations made on the 18th century according to the neoclassical fashion and in which one of the best architects of the time took part: Justo Antonio de Olaguibel. The thermal baths of Arkaia issued from the side of the Roman road that connected Bordeaux with Astorga crossing the Alavese Plains and was called Iter XXXIV. In order to meet the needs of the travelers and traders who moved through this iter in Roman times, these thermal baths were built towards the end of the 1st century, being abandoned around fifty years later for reasons unknown today. We can still perceive the diverse spaces that were part of the complex, formed by a changing room or apodyterium, a cold room (frigidarium), a warm room (tepidarium), a hot room (caldarium) and a courtyard or palaestra used for exercise. 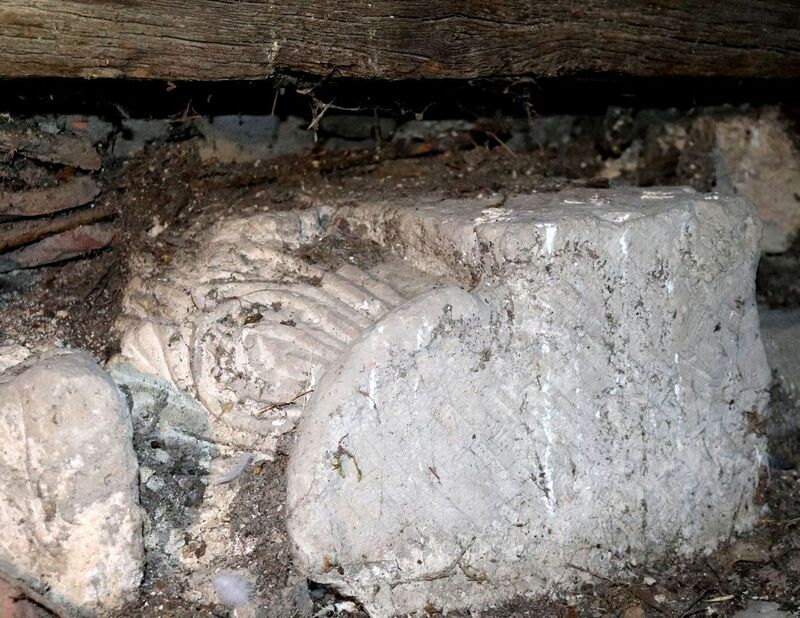 On the floor of the tepidarium, the small columns that held the floor can be distinguished. 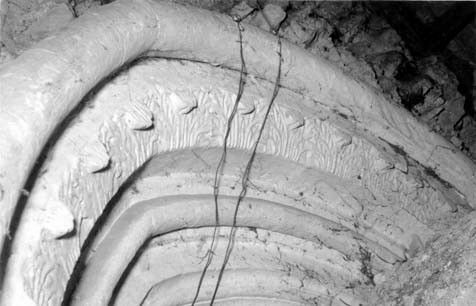 These were part of the heating system (hipocaustum) that warmed the room through platforms and empty walls through which the hot air circulated. 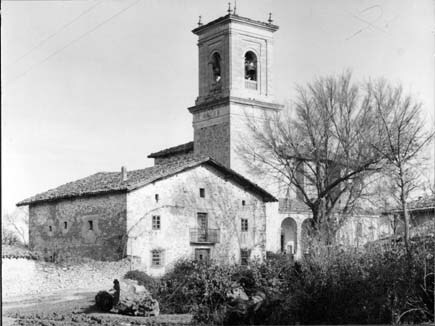 The old preserved photographs of the parish church do not reveal many changes in the structure of the building. The latest major renovations to which the temple was subjected in the 18th century gave it the form that we know since then. Three important phases can be distinguished on it. 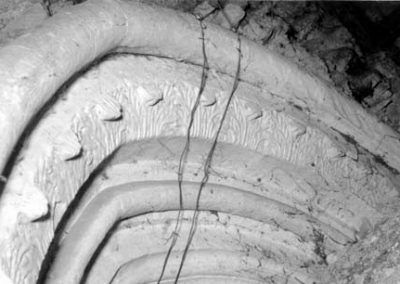 There are still exterior samples from the first Romanesque stage on the north and west walls, where remains of corbels and carved pieces that were reused in later expansions can be distinguished. 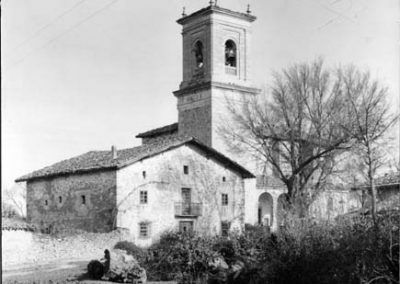 The Romanesque nave, which today looks very transformed and is used as meeting place by the residents of the council, was later masked during the Modern Age, when the current parish was added, creating it almost new. Finally, the portico was rebuilt in the 18th century and a screed was applied, that is, elements from other eras were masked by cornices and entablatures to unify the church under neoclassical criteria. 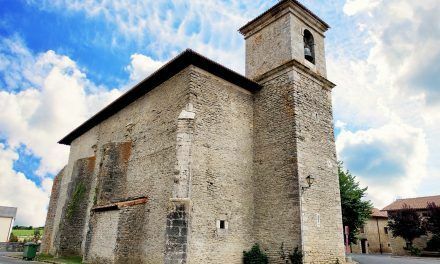 A few metres away from the Roman baths, the oldest remains of the town of Arkaia, we find the parish church of the Nativity. 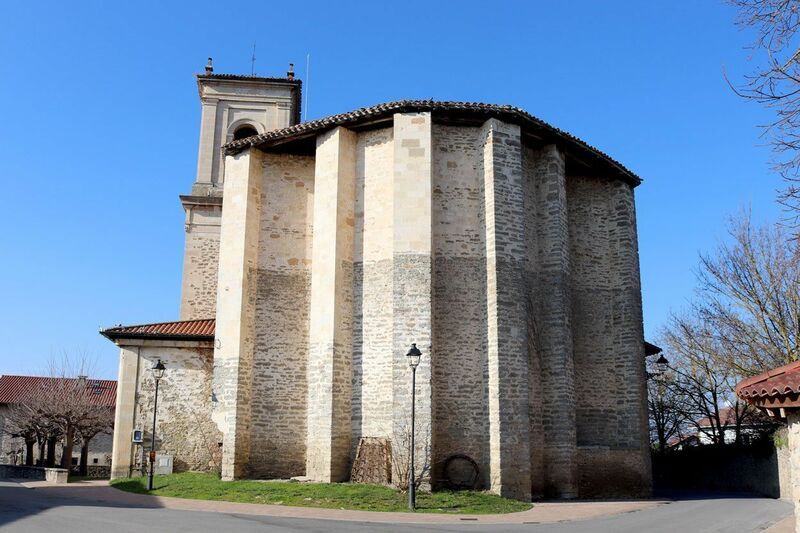 The abundant (although sometimes hidden) Romanesque remains scattered along the entire building allow us to get an idea of its appearance in the Middle Ages. 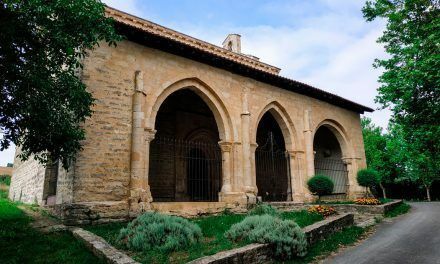 The form of the primitive nave of the church is deduced on its northern side, where a line of corbels that show their original dimensions has been preserved. The facade that corresponds to this primitive temple still remains between the walls of the building. When the Renaissance renovation was performed, it had to be moved to adapt to the new volumes of the temple and, although it is not perceived from the outside, it is still located at the same point of the portico where we can contemplate the current entrance. From the access stairs that lead to the tower we can see how on the false ceiling created by the portico, built on the 18th century, the archivolts of the Romanesque facade still endure, which are decorated with acanthus leaves. On the same access to the tower we can also see one of the Romanesque capitals with vegetable decoration that the original church had. 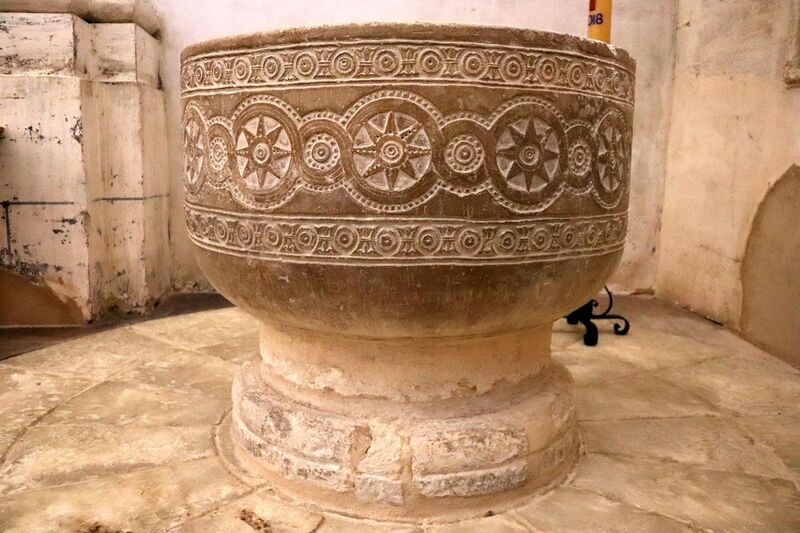 Nevertheless, one of the jewels that the Romanesque temple had is on a clearly visible place in the interior: the baptismal font. 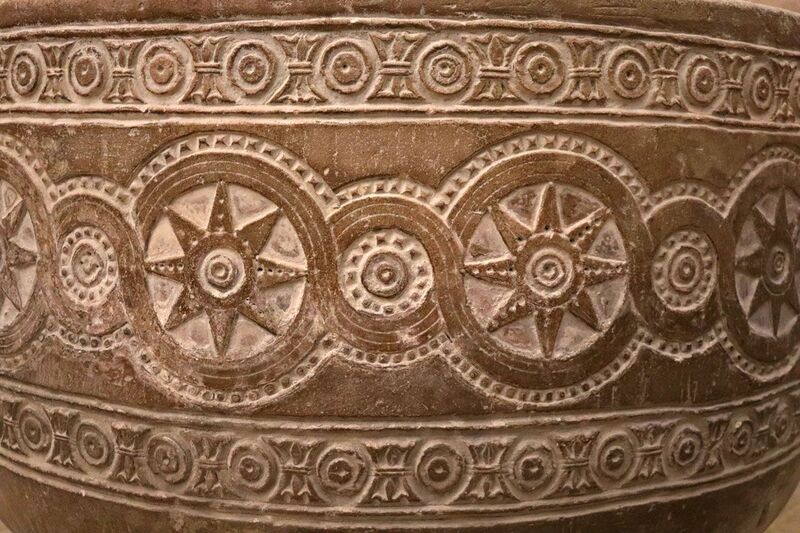 This large font shows a geometrical decoration of great Roman influence at the bowl, in which we can see a fretwork of circles intertwined with each other in which eight-pointed stars and circular motifs stand out. 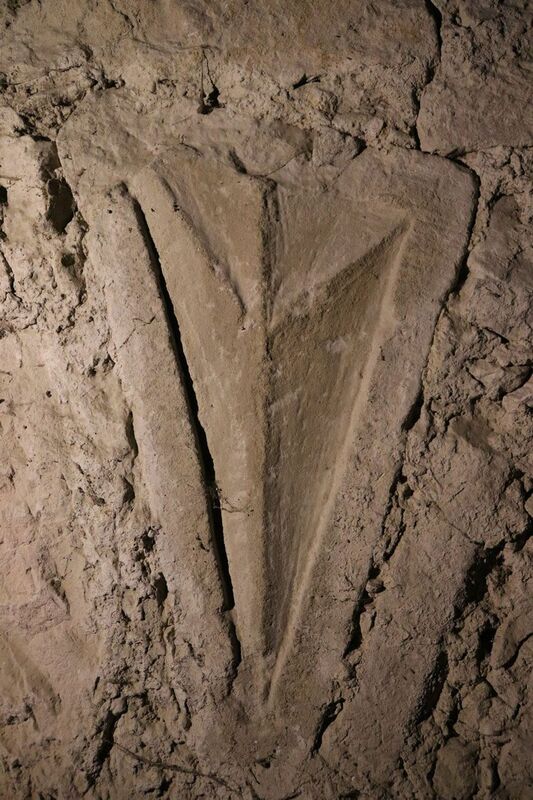 Flanking this central motif, other geometrical elements are developed in the upper and lower bands. The decoration stops at the back of the font, which makes us imagine that it was designed to be attached to the wall. 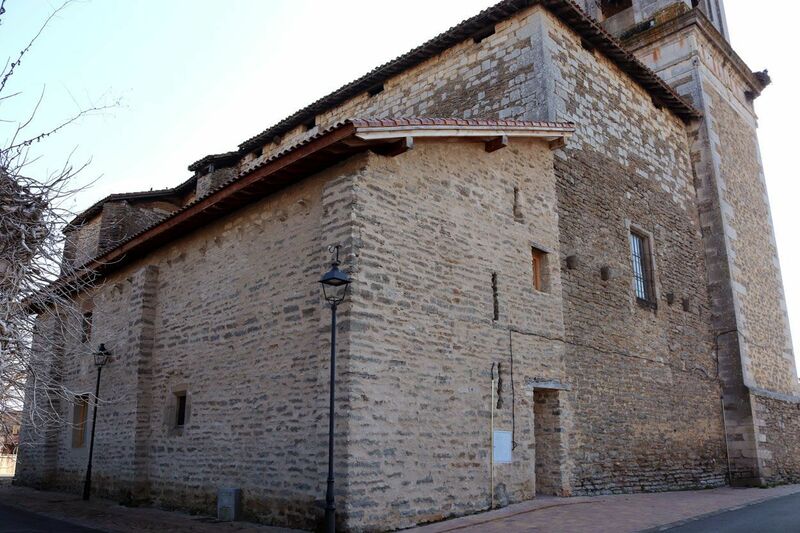 In the 16th century, the building was entirely redesigned on a Gothic style typical of the area, built attached to the south wall of the Romanesque church. 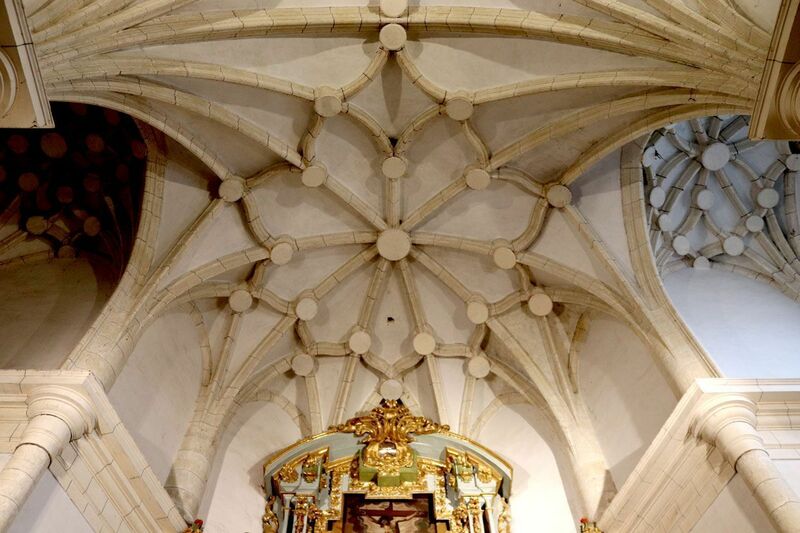 At this time a polygonal apse and a nave with a transept that was covered in two different phases were created. 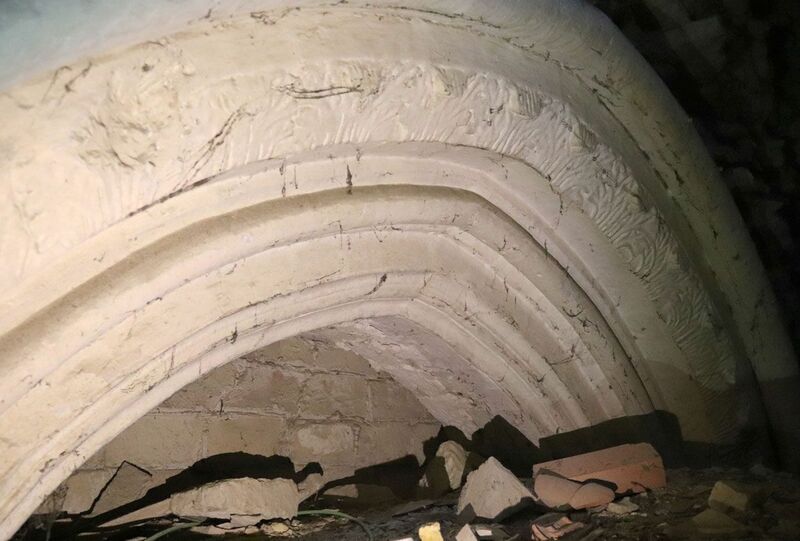 The part of the apse has some complicated Renaissance vaults whose ribs form geometrical motifs of flowers and stars, while towards the feet of the church groin vaults were built, more typical of the baroque style. 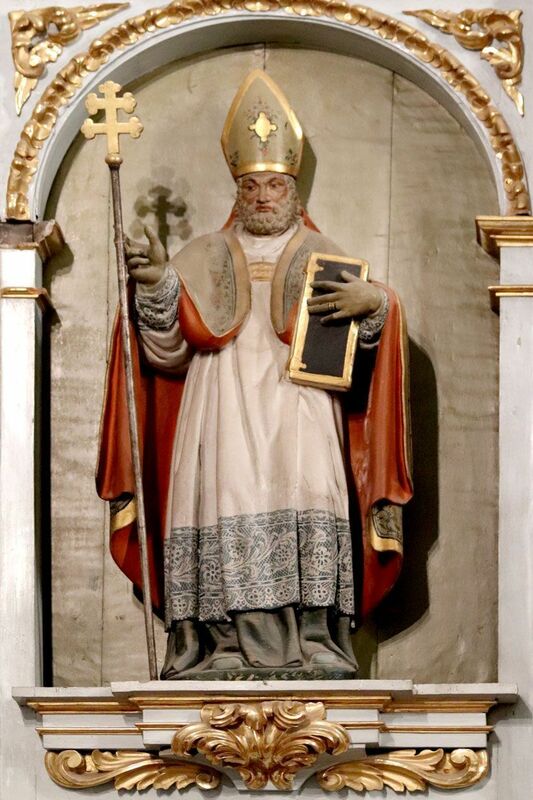 Justo Antonio de Olaguibel, one of the best Spanish neoclassical architects and born in Vitoria-Gasteiz, was in charge of designing the screed of the temple. The strict entablature that, as a cornice, crosses the entire building is a result of his designs, as well as the classic columns and pilasters in charge of holding it. This way, the Gothic capitals from where the vault ribs start are hidden, giving the building a soberer appearance and making it in line with the neoclassical taste of the time. 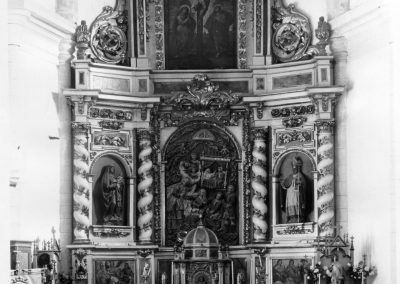 The altarpieces date from this same century, in which baroque motifs still remain, although impregnated with the new neoclassical airs. 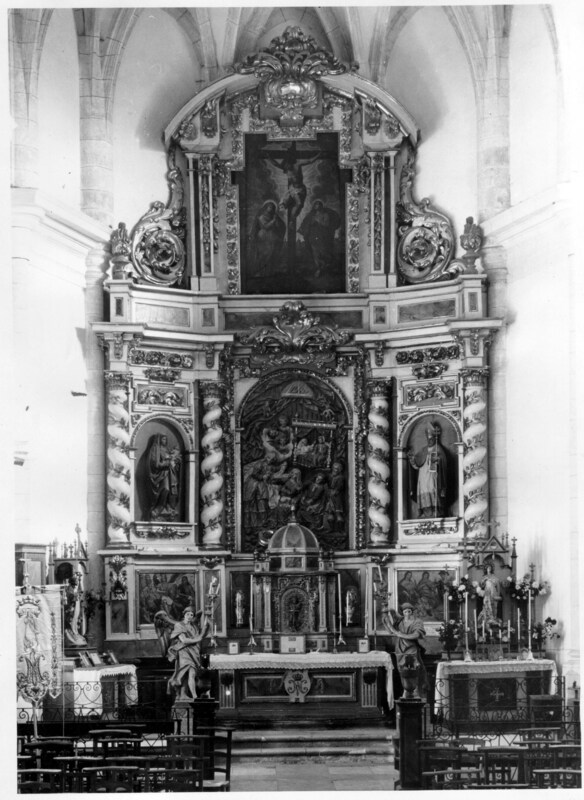 On the predella of the main altarpiece, two paintings were done that show, on the left, Saint Peter, Saint Michael and Saint John the Baptist; and on the right, Saint Catherine, Saint Pelagius and Saint Vítor. 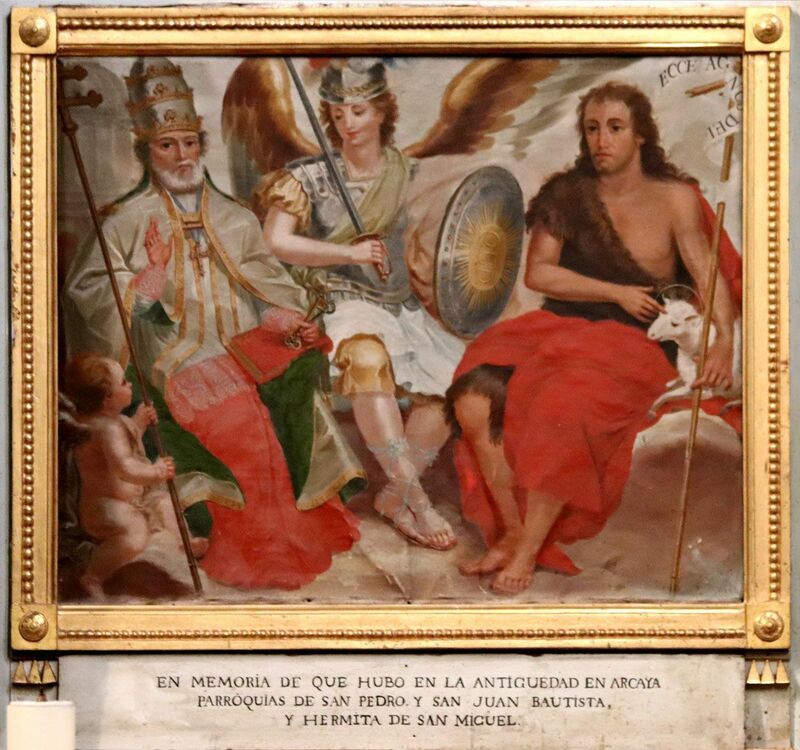 On both paintings we find a very similar inscription that reminds us that there were six hermitages on the surroundings of Arkaia in the past, today disappeared, dedicated to the represented saints. 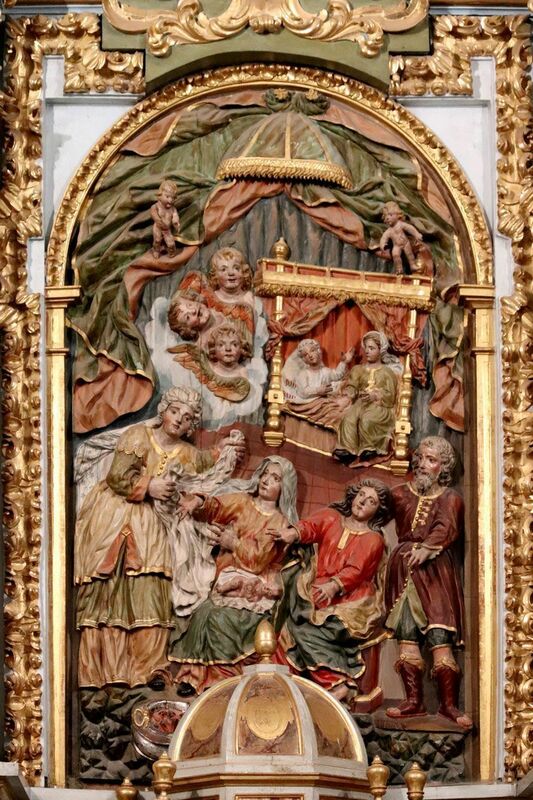 Over the tabernacle we find a relief of the Nativity of Mary, where we see Saint Anne giving birth to Mary helped by several midwifes and flanked by large angels, while Saint Joachim witnesses the moment in the background. The scene is framed by a baroque curtain that gives dynamism to the clashing composition. 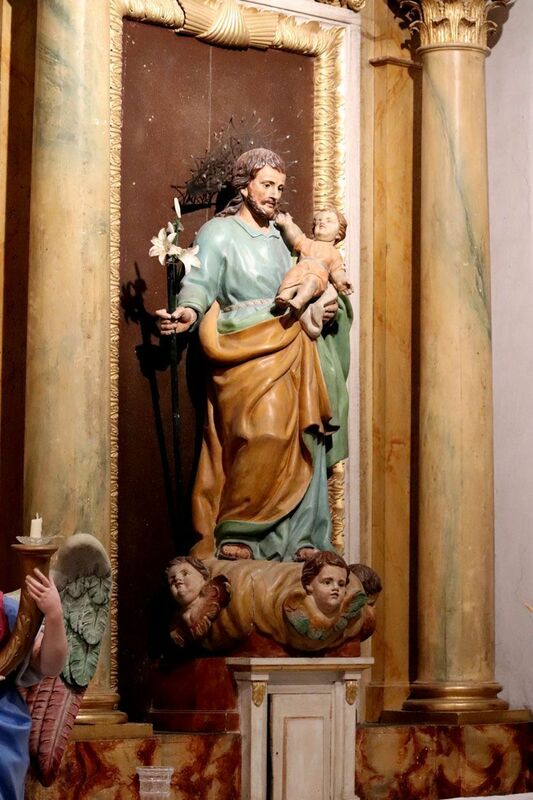 The sculpted figures that are on the side naves are a carving of the Virgin, previous to the altarpiece, and a Saint Eugenius dressed as a bishop with a two-barred cross. 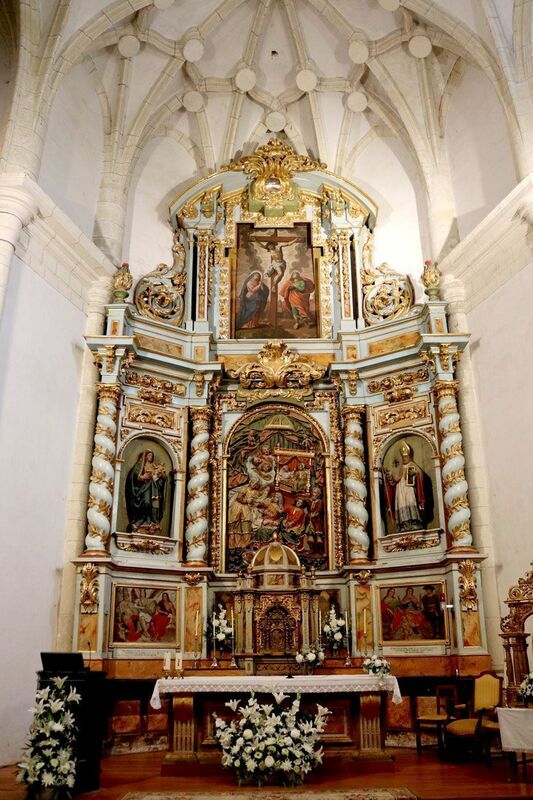 At the top, a calvary painted on canvas crowns the altarpiece. 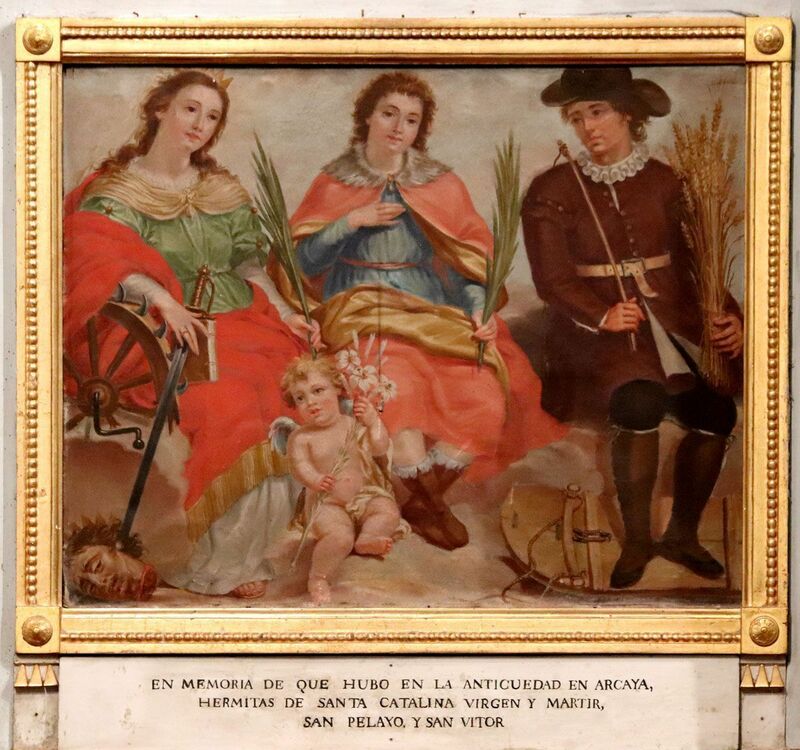 The figures of the side altarpieces were executed by members of the two most outstanding dynasties of sculptors of the neoclassical alavaise style: the Valdiviesos. 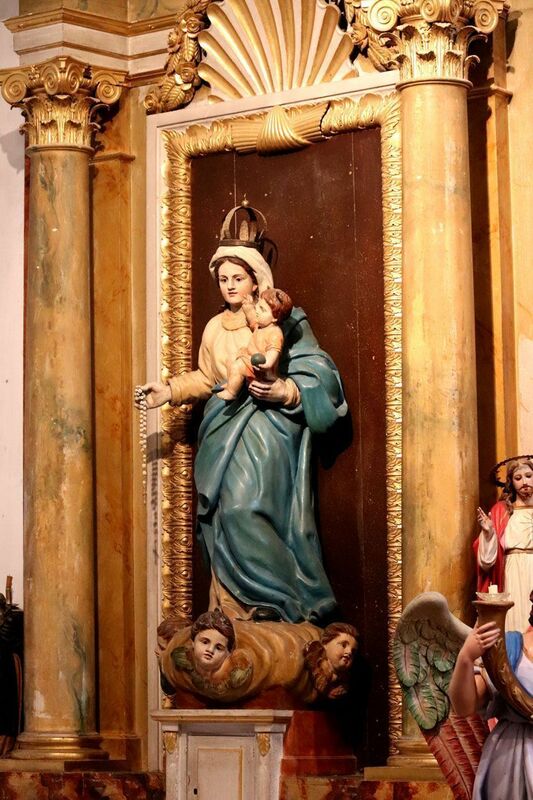 They represent Saint Joseph with the child and the Lady of the Rosary accompanied by other smaller figures.